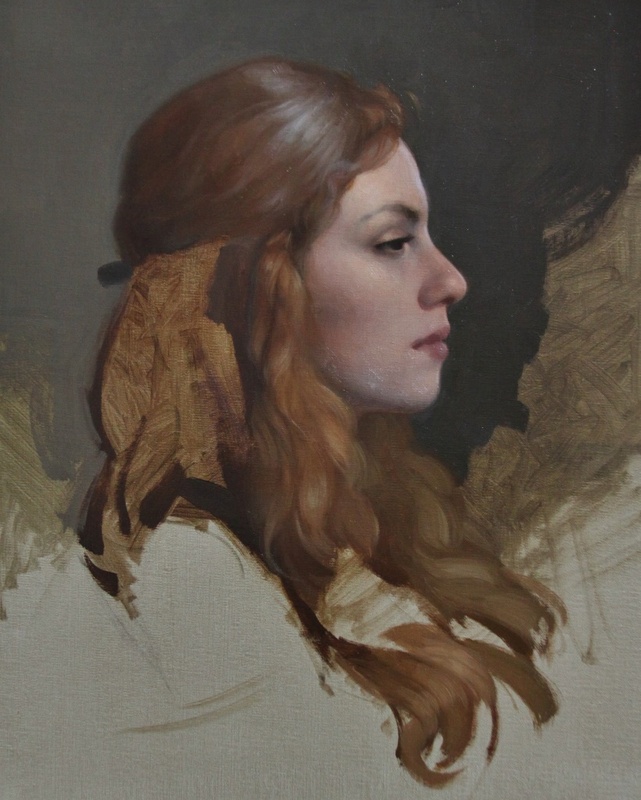 My demo piece from last year’s workshop at Flemish Classical Atelier. I like to ask this question: WHY are you projecting? Is it because you can’t draw, or is it to save time? If you are projecting because you can’t draw, you’ve already discovered you WILL lose your drawing in the painting process. If you can’t draw, you’ll still screw it up. You know who you are. You’ve done it many times. You still have to be a good draftsman to pull it off. Let me tell you, if you still struggle with drawing and you’re projecting because you think it will help you, you’re fooling yourself. You NEED to learn to draw first. I don’t care who told you otherwise. They are dead wrong. I’ve seen learning painters lose their projected image over and over again. They project and trace a photo. Then they start losing the drawing within the first few hours of painting. You HAVE to learn to draw. I know a few artists who regularly project a photo, or part of a photo in order to save time. I get it. When you have to make a living with your art you don’t always have the luxury of maintaining your ideals. Especially if you have a family to support. Then there are deadlines. It’s competitive out there for the working professional artist. It’s tough. Many do what they can to survive these difficult times. But these artists are also EXCELLENT DRAFTSMEN. They don’t really NEED to project. But it saves time. Their paintings are still excellent. Personally I don’t have a problem with these artists who do this. Do I (David Gray) project? I have a family. I have a wife and two kids. My wife doesn’t work for pay (She actually works harder than I do. She home educates our children!). I have a home mortgage. I have all the financial responsibilities of the working family man. I have to make ends meet. So why not project? Why not save time? The answer has two parts to it. Part 1: Remember I said if you have responsibilities you don’t always have the luxury of maintaining your ideals? Well, I do anyway. For me it’s a point of honor to hand render everything. Even when working from photo reference I hand draw my composition without the aid of a projector. Have I EVER projected? Yes, I have. And I don’t like it. So I don’t. Drawing skills are at the core of my work. I like honing those skills every time I do a painting. It’s a personal decision for me. If you’re a good draftsman and you want to project to save time, okay, fine. I don’t have a problem with it. But it’s just not for me. Part 2: I’ve found that I tend to edit what I see when it comes to a photographic image. The camera is monocular. It doesn’t see the same way we see (Assuming you have two eyes. Not everyone does, of course). Therefore I find little disturbing ways the camera sees that I don’t like. So I edit that part. I find when I personally hand render the image, subtle things happen in my drawing that are more pleasing to me. I do tend to idealize my subjects a bit. Or maybe I should say I tend to draw my subjects the way I WANT to see them. Hand rendering the image allows this to happen to a greater degree. My own aesthetic and artistic sensibilities are allowed to emerge in the drawing if I render it myself. I didn’t always realize this. I discovered it by observing my finished paintings of photographic imagery. My paintings didn’t look quite like the photo. If fact, I PREFERRED my painting to the photo. I was delighted at this discovery and it made me even more determined NOT to ever project a photo. In the end, of course, it’s up to you. I STRONGLY recommend a consistent regimen for building your drawing skills. Find out what your weaknesses are and build them up. There’s an opportunity for you to do this coming up this Summer. 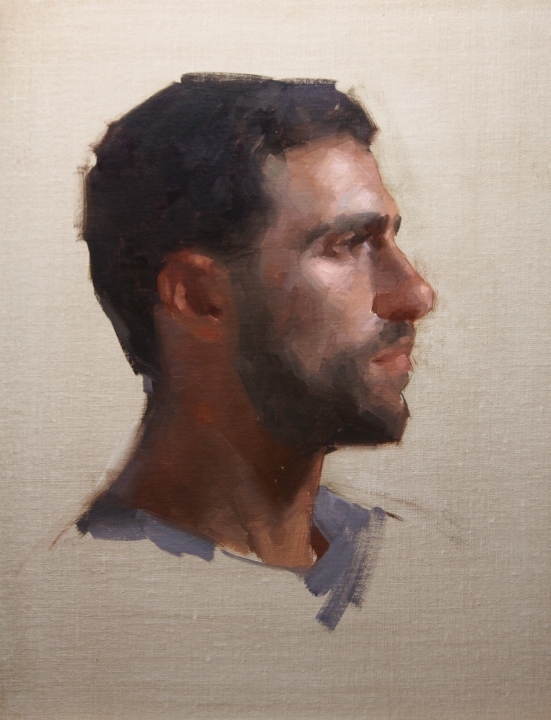 July 1-11, 2015 I’m teaching a ten-day intensive portrait class in Bruges, Belgium with Flemish Classical Atelier. We are going to be spending the first 4 days drawing. I’ll be teaching my way of building the drawing in preparation for doing the painting. You’ll see that there are no fancy tricks. 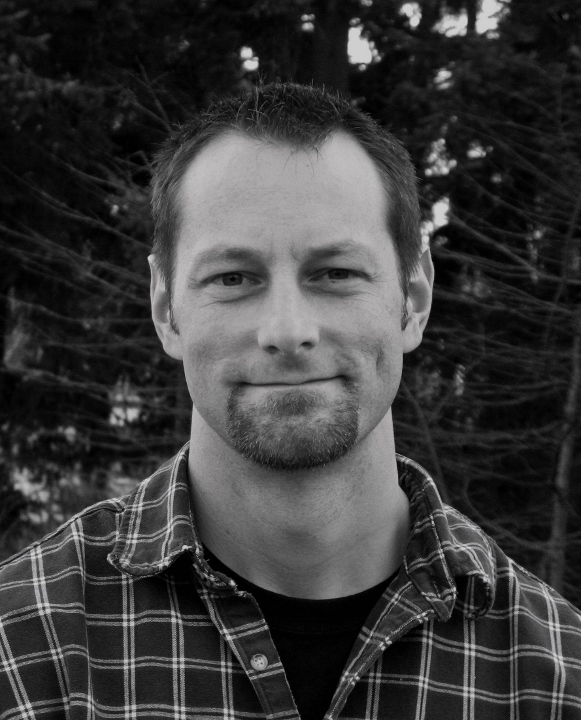 I break the process down for you and demystify this essential skill. Please consider joining us. I know we’ll have a great time learning together. And Bruges is a lovely and inspiring place to be. I look forward to working with you…and then sipping a beer or two after class. 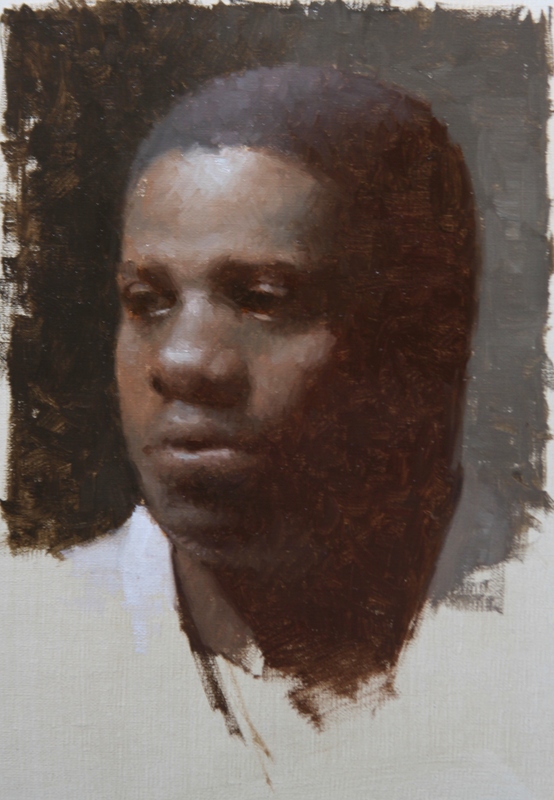 Please click this link to find out more or to register: http://www.flemishclassicalatelier.com/david-gray-painting-the-portrait-from-life. A scene from last summer at Flemish Classical Atelier. Students working on the portrait drawing. Detail of demo from a past workshop. 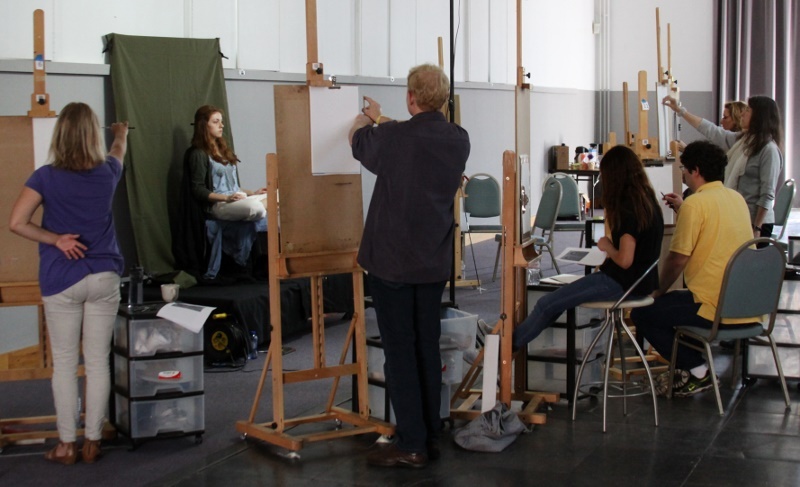 We will be working from the live model from May 14-17 at The Art School in Sandy Springs (Atlanta, GA). We have room for two more. 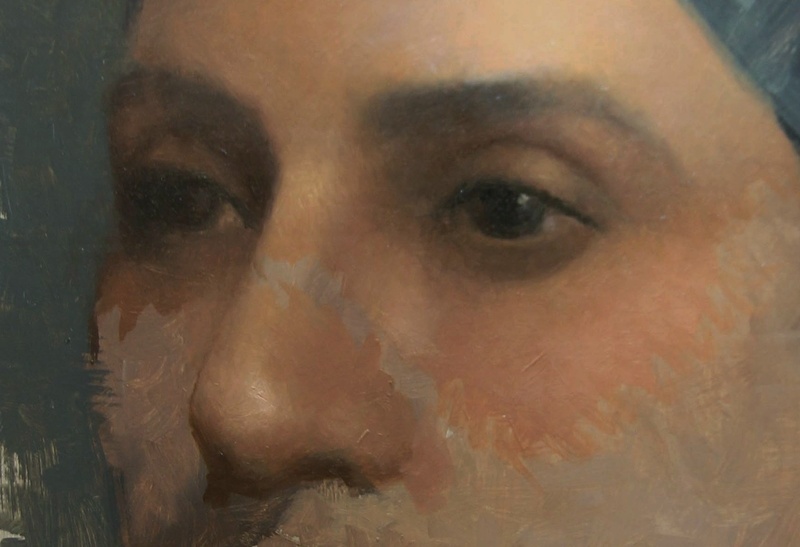 Please join us for a fun and intensive time of learning techniques and concepts for painting the portrait from life. For questions regarding this class please contact Donna Thomas at 404-313-7356, or theartschoolinsandysprings@gmail.com. See you there!